Alberta will begin to phase out it’s cheapest energy source at the cost of an extra $320 per household in 2017 and $500 per household in 2018, setting its sights on 30 percent renewable energy by 2030. The plan was announced by the provinces first non-Conservative party in 44 years. 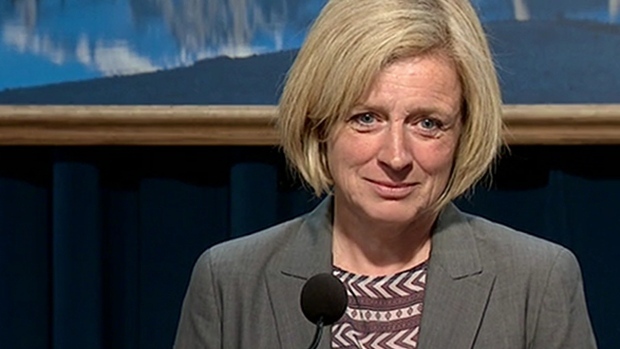 Premier Rachel Notley of Canada’s New Democratic Party assumed the role of premier last month. The plan is expected to reduce carbon emissions in the province, despite an expected increase in population and industry, and at a cost born by all Albertans. Currently, the cheapest form of electricity in Alberta is coal-fired power. Coal-fired power is to be phased out under the new plan, and coal-fired electricity generators are expected to cease business, according to energy authorities. “I think the expectation would be that they would be ceasing their operations,” Gerard McInnis, Ernst & Young’s Canadian sector leader for power and utilities, commented. The price of consuming carbon will begin at $20 per ton on Jan. 1, 2017, and rise to $30 per ton in 2018, and everyone will pay it. Currently, only the largest carbon producers — those who emit 100 megatons per year — pay such a levy. For most Albertans, the price will be felt at the pump and when opening home electricity bills. Gas prices will rise 5 cents per liter next year — 7 cents per liter by 2018. Natural gas-fired furnaces will be more expensive to run — rising over a dollar per gigajoule next year and up to an additional $1.62 in 2018. The levy may continue to increase indefinitely. An NDP-formed panel published a “Climate Leadership” report this week which contains proposed increases to the levy every year to 2030. The report recommends an increase from 2017’s $20 per ton to $100 per ton in 2030. The plan includes a goal that 30 percent of Alberta’s electricity will come from renewable sources in 2030. Currently, 9 percent of the province’s electricity generation comes from sun and wind. The money paid by Albertans for carbon-emitting power is expected to generate $3 billion annually for the government. Alberta has faced a deficit since oil prices began to collapse in 2014 — the current deficit is $6.1 billion. Also part of the new plan, oil sands emissions will be capped out, but above current levels of 70 million tons. The limit will be 100 million tons, allowing the industry to continue to grow.